AquaBounty Technologies, Inc., recently got the green light from Canada’s environmental regulatory agency to commercially produce these eggs for its genetically engineered salmon at a hatchery on Prince Edward Island. Credit Photo courtesy of AquaBounty. The so-called “AquAdvantage” salmon is an Atlantic salmon that contains genetic material from Chinook salmon and ocean pout. The genetically engineered salmon feeds year-round and therefore grows faster than conventional Atlantic salmon. 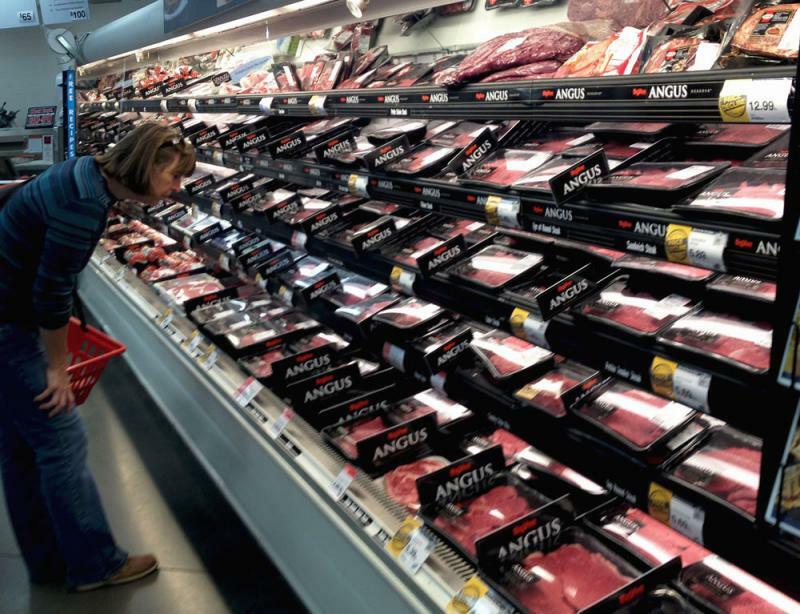 It reaches market weight in a year and a half on 80 percent of the feed consumed by a conventionally farmed Atlantic salmon, according to the University of Missouri’s Kevin Wells, one of the scientists the FDA asked to evaluate the safety of the fish. Environment Canada, as the Canadian environmental regulatory agency is known, gave the American company AquaBounty approval to produce eggs at the hatchery because scientists did not find them to be harmful to human or environmental health. The ruling by Canadian regulators does not allow the company to actually sell AquAdvantage salmon to the public. AquaBounty called the approval a “significant milestone” in its attempts to commercially produce the salmon, but said nothing had changed in its day-to-day business operations as a result of the announcement. The company still needs approval from the U.S. FDA to sell the AquAdvantage salmon in the U.S. 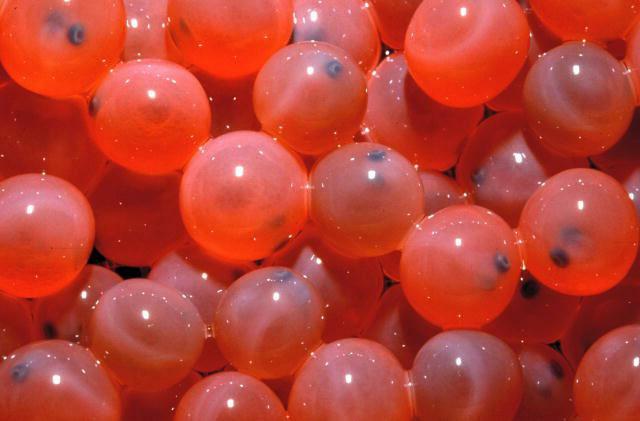 Currently, salmon eggs are being exported from the Prince Edward Island hatchery to a research and development facility in Panama where the fish are raised. AquaBounty says it will ask Panama’s government to commercially produce and process the salmon after it gets approval from the FDA. 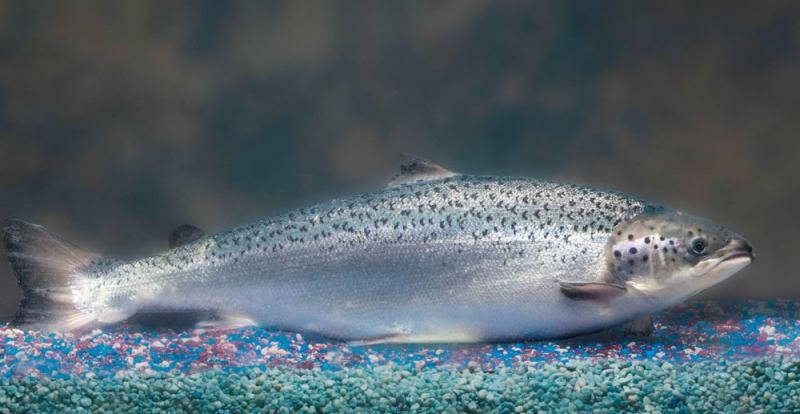 The FDA, which regulates genetically engineered food, is still considering whether the salmon can be approved based on safety issues – including animal health, food safety, handler safety and production control and containment of the fish. Although the FDA closed its public comment period on AquaBounty’s application in April, an agency spokesperson said there was no set timeline for when a ruling would be issued. There are no genetically engineered animals, fish or eggs currently approved for human consumption in Canada or the U.S. Even if AquAdvantage salmon is approved by the FDA to be marketed in the U.S., several large retailers, including Target, Whole Foods and Trader Joe’s, have already pledged not to carry the genetically engineered salmon in their stores.